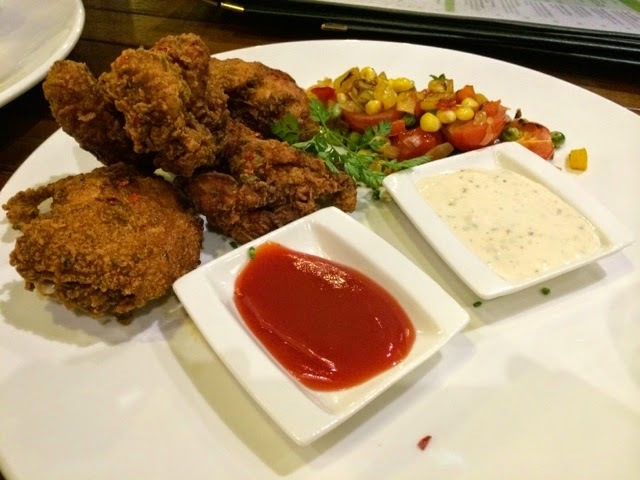 I recently went to the Seasons Bistro, Triple One Somerset to check out some of the dishes on offer. 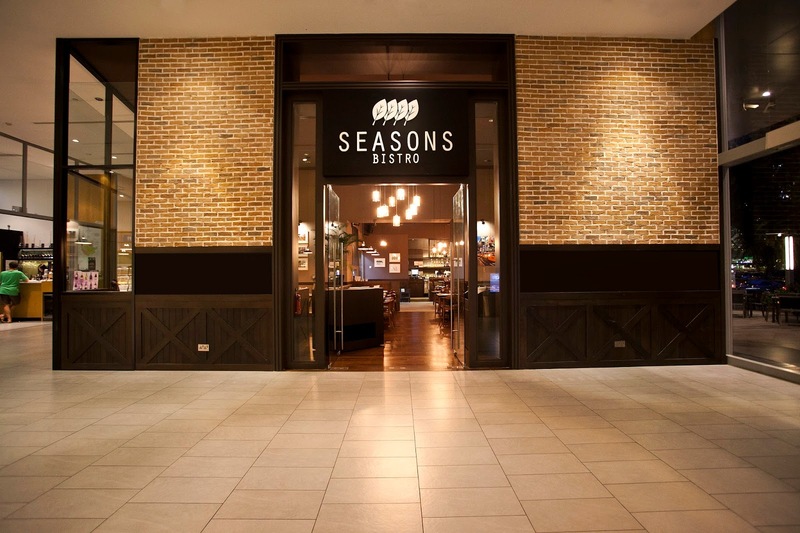 The Seasons Bistro presents seasonally changing menus to its customers using the varying cuisines of the Americas as its inspiration. Eating by the seasons is the idea behind this restaurant as the founders believe seasonal food tastes better and also offers better value for customers. 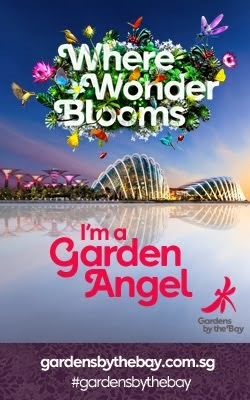 Growing up with a Dad who loves growing seasonal fruit and vegetables this concept certainly appeals to me too. The dishes have been influenced by Executive Chef, Benjamin Fong's personal travels in America. He has previously worked in several restaurants in Canada as well as locally in various places including PS Cafe. He is a supporter of sustainability and conservation practices which is reflected in his choice of ingredients in his seasonal menus. Using the Americas many diverse cuisines from its regions and countries as the basis for the bistro allows for a whole host of potential dishes, from seafood ones inspired by the specialities of New England to Mexican inspired dishes and much more in between. 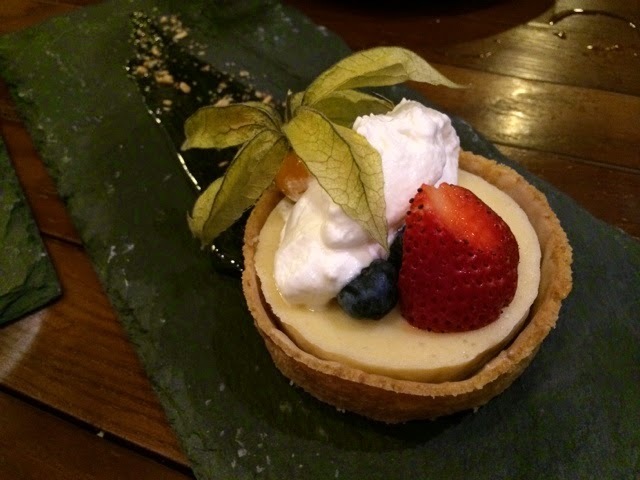 Seasons Bistro takes you on a culinary journey around the continent. The layout of the restaurant is designed to welcome you at any time of the day. It's comfortable and relaxed and the large windows looking out on to Somerset Road offer you a great opportunity to watch the world go by as you dine. The restaurant has a separate bar area which looks perfect for pre or post dinner drinks. 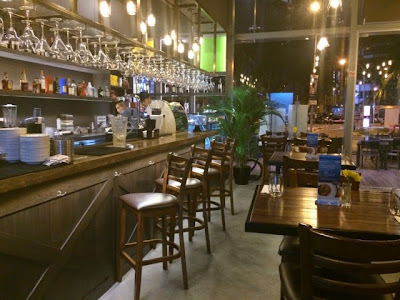 The bar also offers up an extensive deli counter with a takeaway menu of gourmet sandwiches, cold cuts and cheese platters. 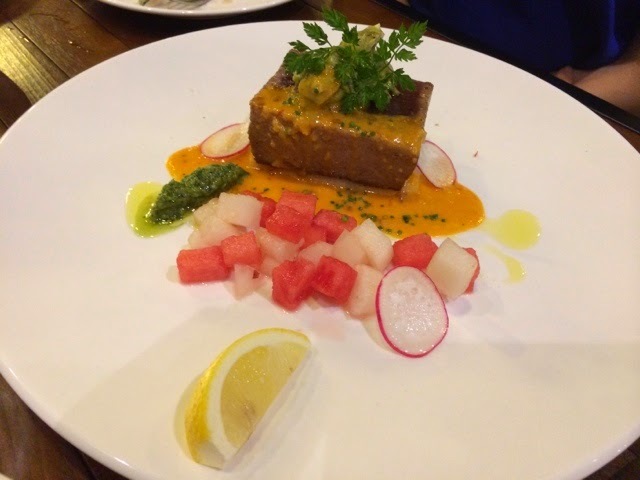 Worth noting as well is that there is a good selection of vegetarian dishes to choose from across the menu, as well as daily specials for starters, main courses and desserts, all prepared with available seasonal ingredients. 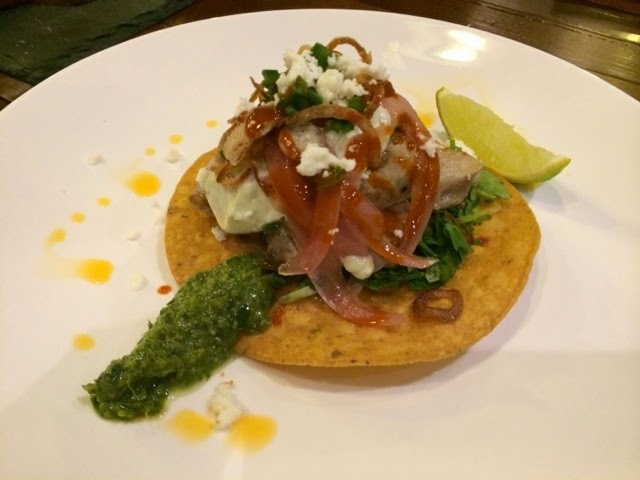 On my visit I got to try a whole range of different dishes beginning with the seared yellowfin tuna taco ($14++). This dish is a nod to the food trucks common all over the western United States. As I've said before I'm not a huge seafood eater but am now definitely far happier to try fish dishes than I was when I first arrived in Singapore. Still though this is not a dish I'd probably choose for myself, that said however this ended up being my favourite of all the starters I had. It had a pleasant light freshness to it and readied my taste buds for the rest of the dishes to come. I could even see myself selecting this again! 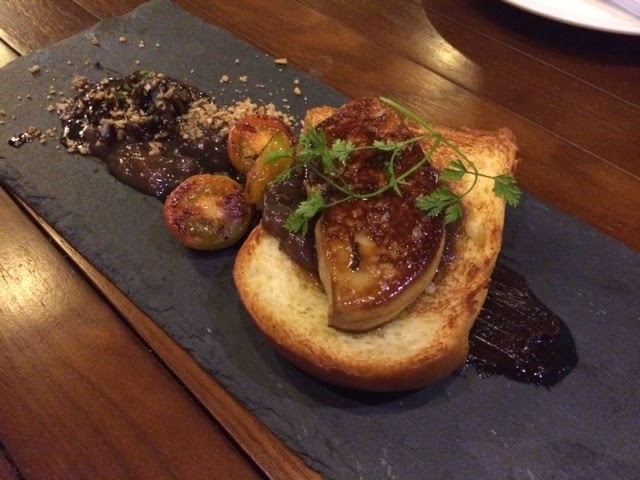 Next we sampled the pan seared foie gras ($16++). The menu states that this dish is definitely not a dessert, which from looking at the list of ingredients you could almost think it was. It was an unusual combination of ingredients but I was excited to try it and I wasn't disappointed. The sweet and savoury flavours combined very well and although rich (not one I could eat a lot of, maybe good for sharing) it was delicious. 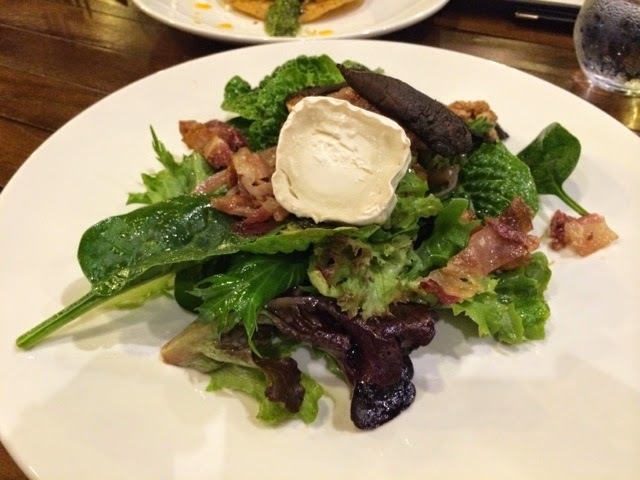 Before moving on to the mains I got to try one of the salads from the menu, the grilled portobello salad ($16++). Again I probably would not have chosen this salad ordinarily but this was very good, perfect for a light lunch or as a starter. The walnuts gave it a nice crunch to contrast with the mushrooms and other ingredients. After our starters and salad we moved on to the main courses beginning with the seared albacore tuna ($26++). This was incredibly good and really fresh tasting with the fruit complimenting the tuna. I think I am developing much more of a taste for fish dishes! This one takes its inspiration from dishes from Cuba and Hawaii, a nice light main course if you want to have room for dessert afterwards. Then it was on to the surf and turf gumbo ($27++), which as many of you will know is a dish from Louisiana in the United States. A hearty, warming stew embodying the idea of a surf and turf dish by combining shrimps, chicken and chorizo served with dirty rice. All of the sauces accompanying the dishes are made in-house and the chow chow relish in this dish is the chef's twist on the local achar pickle (yum)! This dish was very filling and incredibly good, definitely great comfort food! 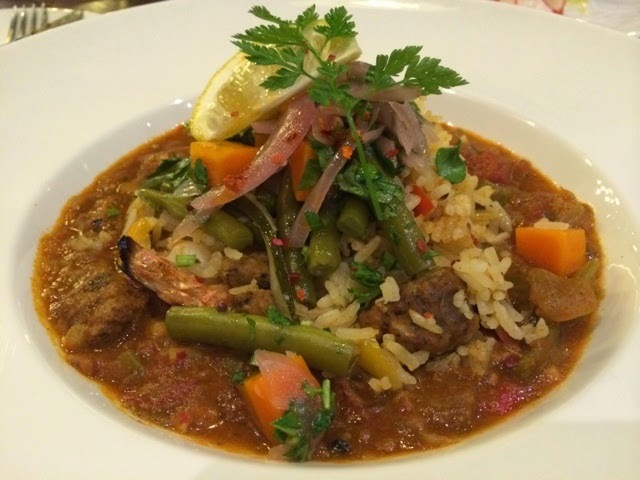 Surf & turf gumbo - shrimp, chicken, sausage, okra tomato stew with dirty rice, pickled onion, cilantro, chow chow relish and French bean salad. Lastly we had the buttermilk fried chicken ($22++). This is a dish I'd typically choose and this one didn't disappoint. It is one of the most popular choices on the menu and I think probably my favourite too. The buttermilk tenderises the chicken making it a very tasty dish and there is no fried greasiness to worry about. As with the other dishes the accompanying relishes are made in-house and the ketchup style relish has a real fruity twist. Yum! Finally on to the desserts, one of my favourite parts of a meal if I'm honest! The first dish I tried was the Season's carrot cake ($12++). I love carrot cake, both the Singaporean version and the sweet cake version. 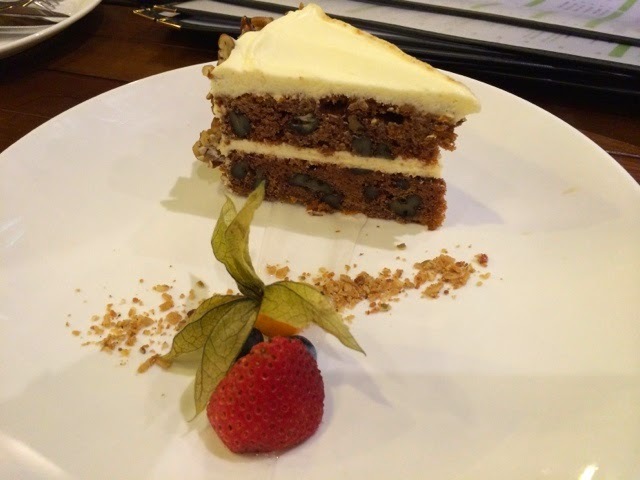 If I see carrot cake on a menu most of the time I will opt for it and this one did not disappoint me. With its thick layer of cream cheese on top and plenty of nuts throughout it was delicious and definitely not too heavy. Next up was the mojito tart ($12++) which, as the name suggests, pays tribute to the Cuban cocktail in the form of a tart with mint lime curd and rum cream. Another excellent way to end a meal with a nice lime zing, for those looking for something not too filling at the end this may just be perfect for you. Can you tell I'm a dessert fan? 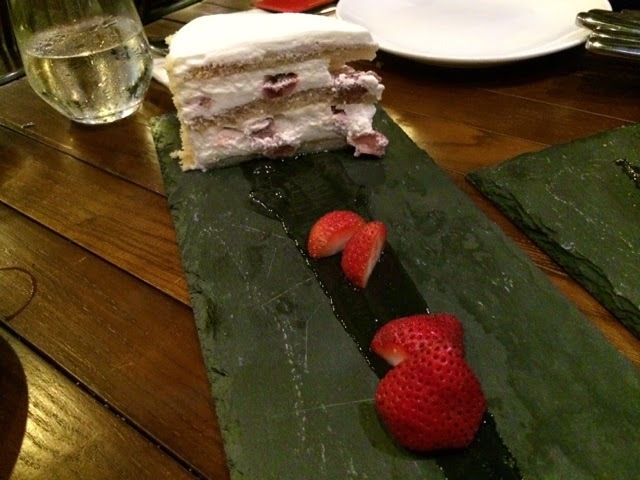 Finally we had a dessert from that day's specials board, the strawberry shortcake ($10++). The specials are offered on a daily basis with two starters, main courses and desserts available to diners and, as with all the dishes, these showcase the Executive Chef's creative flair and offer customers familiar flavours prepared with seasonal ingredients. This shortcake was light and creamy, packed full of strawberries and was a real delight. Alongside the food menu there is an extensive drinks list including creative cocktails, a range of American craft beers, wines and spirits. Non-alcoholic drinks, including mocktails, juices and smoothies are also available. I had a great night at the Seasons Bistro, it is certainly somewhere I'd return to whether for lunch or an evening meal. With the changing seasonal menus it's not somewhere you could become bored with as hopefully they'll be something new to tempt you everytime. For a lunch or dinner date with friends or loved ones right in the heart of the city this is a great spot to choose. This blog resulted from an invitation and represents the thoughts and opinions of the writer. All information on this blog is provided "as is", with no guarantee of completeness, accuracy or timeliness and the writer will not be liable for any losses, injuries or damages from the display or use of this information. 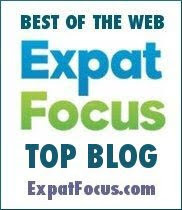 All text and photos on this blog are the original works of the writer unless stated otherwise. Thank you to Food News PR and Seasons Bistro for the kind invitation.